... the imagery is beautiful. ... this book has beautiful images. ... also, the artwork is beautiful. 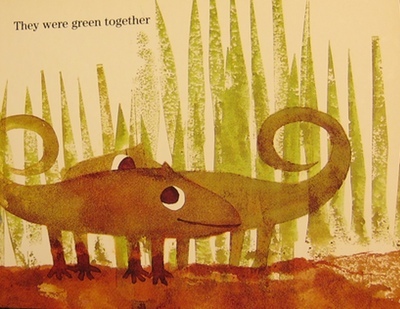 I think it's safe to say I often choose a book based on its illustrations. Given the artwork in children's books is so important to me, I thought I'd share my thoughts on the kind of artwork I love and why. One quality I like is for the artwork to be vague and open-ended... more like a prompt to create an image than a pre-made picture. Just as imagination is the child's work in play, it is also the child's work in listening to stories. Giving a child space to imagine a character or a scene allows him to make it what he needs it to be to be relevant to his life. But the artwork doesn't have to be vague to inspire. I love these pictures - even though they are well-defined, they still allow one to imagine movement. That is, they are not outlined in black ink with a shallow, still feel to them (i.e., Dora, Thomas the Train). They have depth and beauty. And then there is artwork that is done through different mediums. I love the creativity and work that went into creating these. Finally, there is artwork that is just plain awesome. 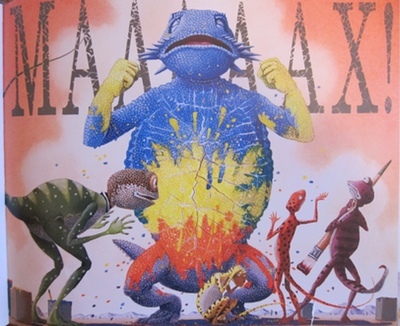 David Wiesner's Art & Max, for example. What are some of your favorite illustrators?